There’s a pretty great Uncharted 4 bundle deal on Amazon Prime day, getting you the latest entry in Naughty Dog’s franchise alongside a PlayStation 4 Slim console (with 500GB of hard drive) for $229 (saving $70.99 with a 24% discount). 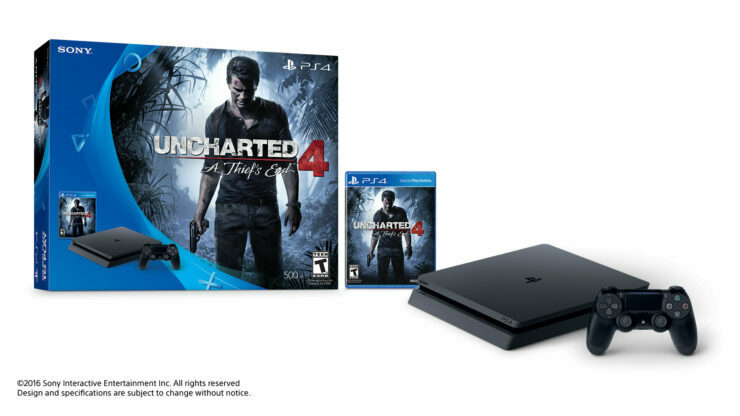 This PS4 Slim Uncharted 4 bundle deal is reserved for Amazon Prime subscribers, but if you don’t have an active subscription you can always create a new account and start the Amazon Prime trial period. Furthermore, this offer is made even juicier by Amazon. After buying the bundle you’ll also get a digital code for Naughty Dog’s other masterpiece available on PlayStation 4, The Last of Us Remastered, as well as another code granting access to select Comixology comics such as Star Wars (2015) #1, Amazing Spider-Man: Renew Your Vows #1, Mass Effect Discovery #1, Valiant High #1, Adventure Time Marshall Lee Spectacular. We reviewed Uncharted 4: A Thief’s End upon release and rated the game 9.4/10. But here’s the thing, it’s easy to nitpick over Uncharted 4, because it does everything it needs to do better than right. Naughty Dog didn’t just go through the paces with this game, they worked hard to make the best game they have ever created, and the best action game this generation. With Uncharted 4: A Thief’s End, Naughty Dog have created their very best game and one of the best titles of this entire generation. If you own a PlayStation 4, you simply need to play it and if you don’t, this is certainly a good reason to purchase the console. The game will soon receive a standalone story expansion called Uncharted: The Lost Legacy, featuring Chloe Frazier as the main character and Nadine Ross as her companion in an Indian adventure set six to twelve months after the events transpired in Uncharted 4: A Thief’s End.